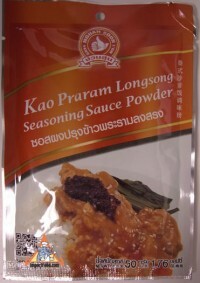 This is a brand new instant Praram Longsong powder that we have just imported from Hand Brand, and we love it! Instantly prepare a meal better than what you can find at a local Thai restaurant. This is very delicious. 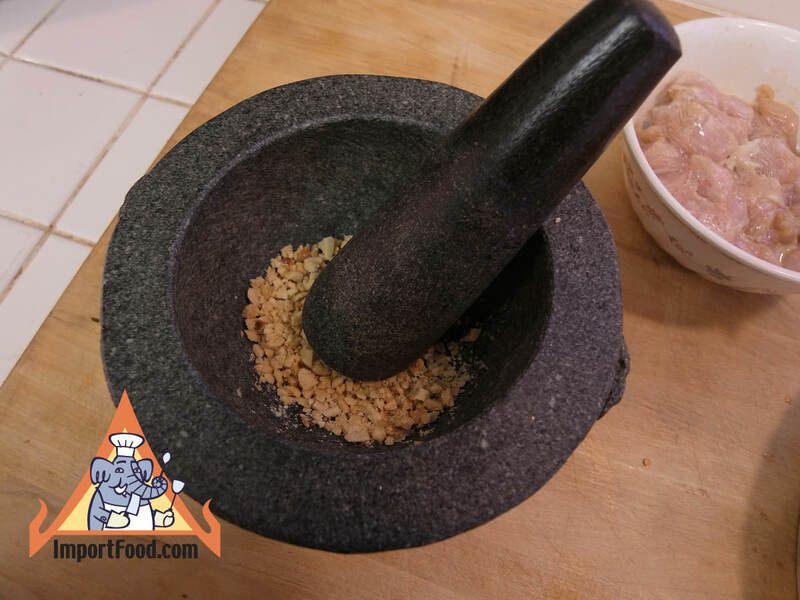 We have a classic Praram Longsong recipe here, but this instant product makes it even better. There are instructions on the package. Inside are two packages (one coconut cream powder, one spices). 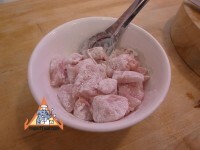 Mix both packages together, then add 1/2 cup of water and mix well. This is the sauce. 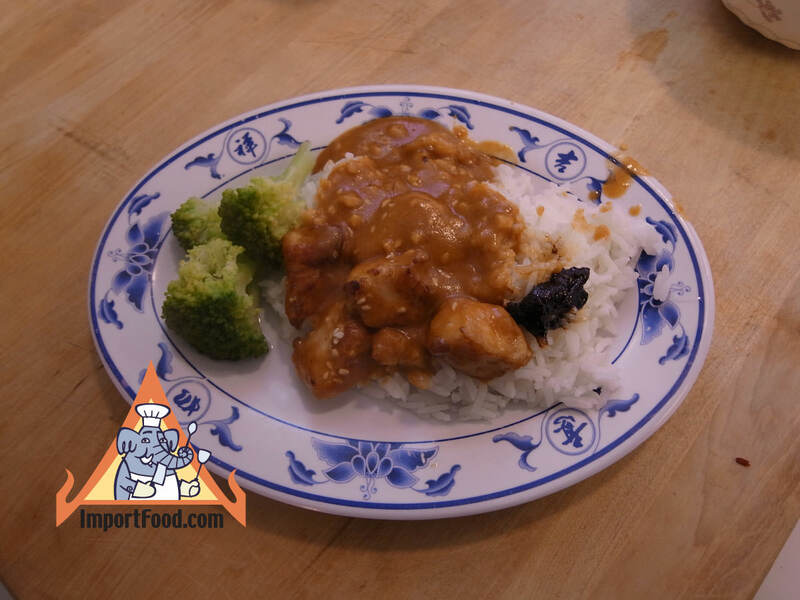 Separately, we prepared chicken using the same method as cashew chicken (coat with tapioca starch, Golden Mountain Sauce, and rice wine, then fry in a bit of oil to make it slightly crispy). Add the sauce to the chicken and mix well. 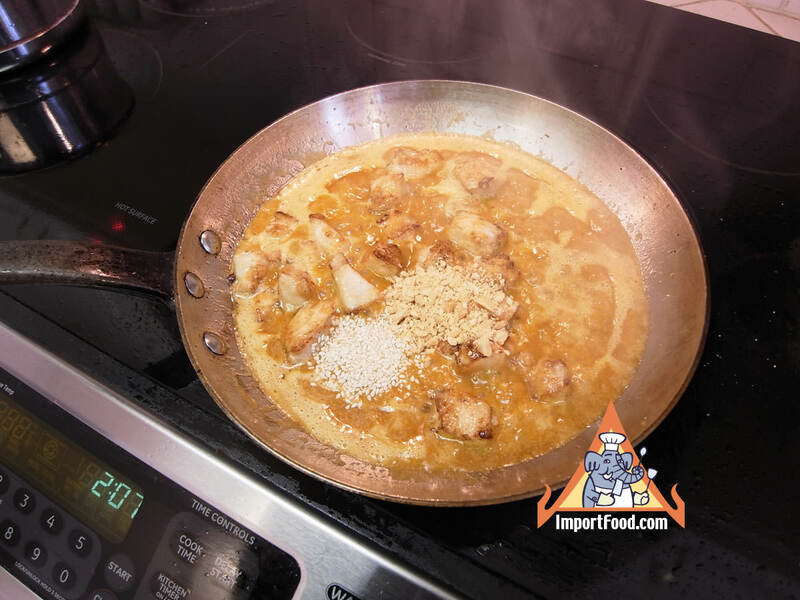 Add 1 tablespoon of crushed roasted peanuts and a teaspoon of sesame seeds. See pictures below. 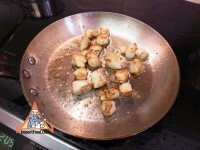 Serve over freshly-steamed jasmine rice, add a little drop of prik pao to the top. Delicious! 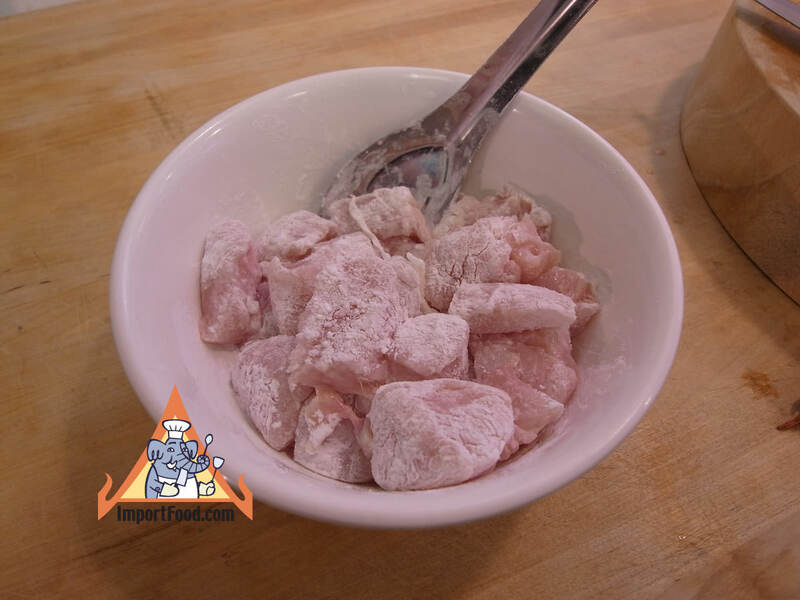 Ingredients: coconut milk powder, sugar, garlic, paprika, corn starch, iodized salt, coriander seed, shrimp powder. This dish dates to the time of King Rama 5, about 140 years ago. Originally it was made with beef, but nowadays pork and chicken are often used. Praram is a name for the God Rama, or King Rama, in The Ramkian. The Ramakian is the Thai version of an Indian Hundu epic written 2000 years ago. Long Song translates as 'take a shower'. Praram Long Song is a popular dish in American Thai restaurants, but not often found in Thailand. Americans are fond of the peanut sauce, and in our recipe it's quite delicious. Sometimes called Swimming Rama, you can use broccoli, spinach, or other greens of your choice.